There are three different categories of work visas (formerly known as work permits) that allow a foreign national to conduct work in South Africa. The first and most common work visa type is the general work visa which will cover the majority of working visa applications. Critical skills work visa is issued to a foreign national who works within a specific profession deemed to be critical in the Republic of South Africa. The new critical skills list has just been published and released on the 3rd of July 2014. An intra-company transfer visa allows a foreign national to reside in South Africa while working for the local branch, subsidiary or affiliate of their employer abroad. Who is a South African Work Visa for? A general work visa allows a foreign national to work and reside in South Africa for a specific employer in any position that, in theory, cannot be filled by a South African citizen or permanent resident. The employer must show that no suitably qualified local candidates could be found to fill the position in order for the foreign national to be granted permission to work in South Africa. The critical skills visa covers a number of industries from agricultural, engineering, architecture, business and economics, information technology, health professionals and more. You can download the full critical skills list here. Ideal for the multi-national company, the Intra-company work visa (Intra-company transfer) allows for an obvious temporary immigration route for staff members to South Africa. Employers should, however, note that the Intra-company transfer option is only appropriate where the employee is required in South Africa for a maximum period of 4 years. 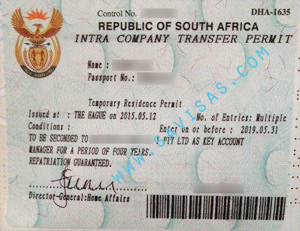 How would I qualify for a South African general work visa? The applicant must have an offer of employment before starting the application process. The position must have been offered to South African citizens and permanent residents – this is done by advertising the position in print media and going through a strenuous Department of Labour process. Should the prospective employer not be able to fill the position with a local candidate, then the foreign national may be offered the position. The general work visa can then be applied for. A foreign national would qualify for critical skills work visa if their profession is listed on the critical skills list and they have the necessary qualifications and experience confirmed by the relevant accredited professional body, council or board and recognised by SAQA. 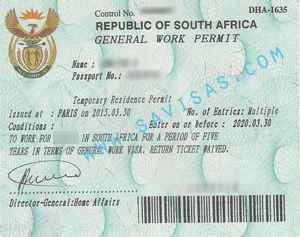 For how long is a South African general work visa issued? A critical skills visa affords the holder the opportunity to work in South Africa for up to 5 years. You can download the full critical skills list here. Most foreign workers are obviously very loyal to the company that files a work visa petition for them, so you would be gaining a valuable employee for a couple of years following the approval of the visa. The process is relatively straightforward granted that the person has all the necessary paperwork so filing the petition is stress-free. It is rare that a foreign worker gets denied a work visa. The work visa is good for three years the first time it is granted to the foreign worker, then three more years after that. The second three-year time period only involves a renewal of the documentation and is not expensive. Filing the petition for a work VISA can be very expensive from a business standpoint. The employee is not legally bound to work for the company that files the petition for the work visa. So, in reality, a foreign worker could wait until the company files the petition, get their work visa, stay for a few months then decide to leave and work for a different employer. An employer can, however, establish either a verbal or written contract with requirements to ensure this does not happen.